Dr Balachander Krishnan received his Ph.D. from Anna University, India in 2005 through Indo-Japanese; Monbusho fellowship on the topic related to Gallium nitride based transistors. Subsequently he worked in international organizations including IMEC, Belgium & Philips Research, Netherlands on III-V based devices, including solar cells. Over the course of his career, he worked as “Process Field Support Manager at Roth & Rau/Meyer burger B.V. (Eindhoven, Netherlands). His direct contribution to this company includes internal process development activities for continuous improvement program (R&D activities), Process optimization at customer sites in China & Taiwan & Remote project management. He was directly involved with several R&D upgrades of PECVD tools (solar business) for several customers in China & Taiwan and thus he evolved as a key resourceful person become the technical coordinator to implement it in many customer sites. 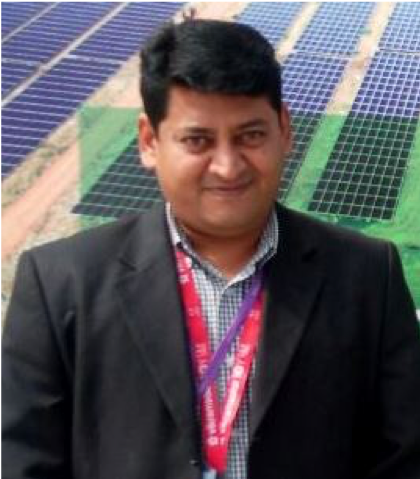 Currently, he holds as position of “Deputy General Manager – Manufacturing” at Adani Solar in Gujarat, India, working since July 2016, Where his passion & commitment towards work resulted in ramping up 1.2 GW (0.9 GW Multi & 0.2 GW – Mono-PERC & 0.1 GW – Bifacial cells) silicon solar cells from scratch. He has also contributed in several high impact journals and international conferences.